Sake has become popular around the world. If you hear Sake Probably you would imagine a rice wine which is fruity and served hot or cold. But for us, that is called Nihonshu. In Japan, for local people, the word Sake simply means alcoholic beverage, which includes beer, wine, cocktails and so on. So if you come to Japan don’t order saying just SAKE as the shop owners might not know what you mean! The most popular sake in Japan is BEER which makes up about 75% of the alcoholic market and what we drink the most of and means the most to everyday life in Japan. 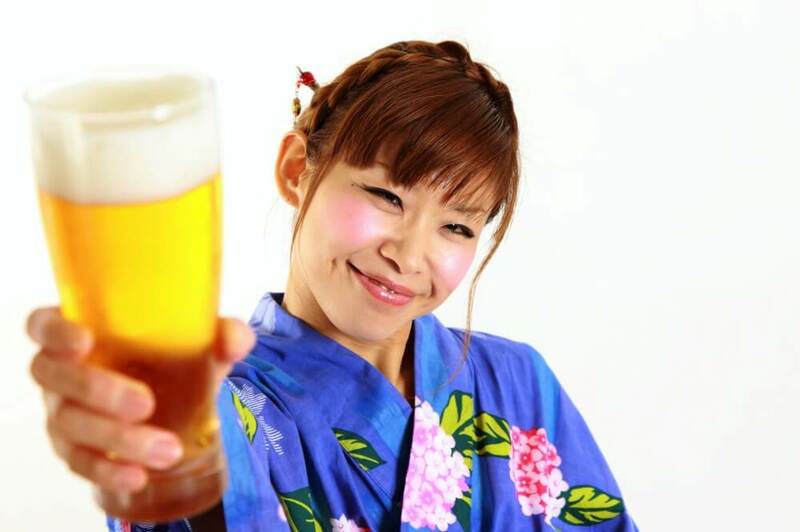 If you have a chance to work in a traditional Japanese company and had a drinking party, what would you order first? Actually, almost every time we order BEER in the beginning of the party to make a toast to kick things off! We also call beer “NAMA” which means any kind of draft or “fresh” beer. 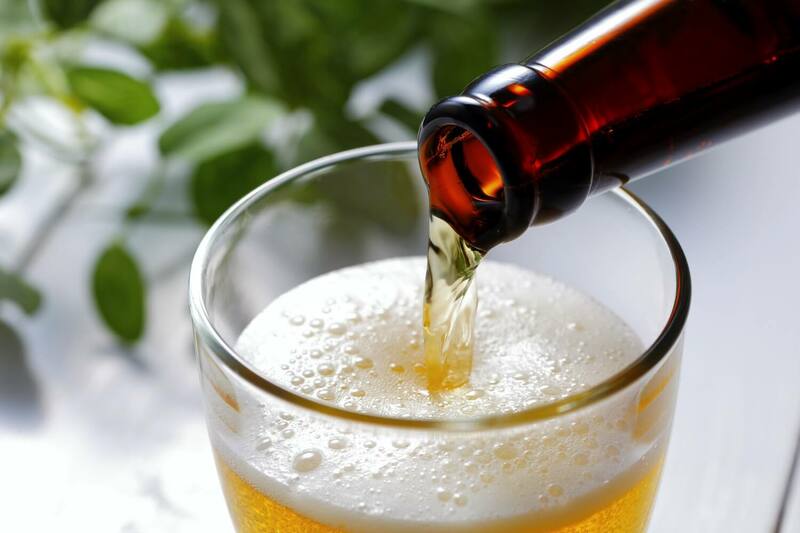 The unique part is that every person has their favorite Beer brand, but we never discuss this at the beginning of a party or evening out with friends… What we do is to Just say “NAMA” for the first order– which includes various kinds of beer brands in Japan or whatever the shop is serving as a basic draft beer. One of Japan’s biggest online business sites/ newspapers, the NIKKEI BUSINESS, actually claimed that The word NAMA is one of the reasons why beer brands in Japan have not done as well as other famous brands overseas, because just ordering NAMA supports the idea that no one really cares about brands. But what I think is a little bit different. Drinking beer is a cultural activity in Japan and we have specific manners and rules, how and when we should drink beer. We consider that after the first NAMA (beer) we are able to order as individuals. But before the first beer is empty, we are still a TEAM and to show respect as a team or group, we order the same beer without selecting a brand. After that we can order anything we like… drinking a lot of alcoholic beverages will make it hard to act as a team anyway. Another important cultural aspect of beer drinking is called OSHAKU. The Typical way to do OSHAKU is to order bottle beer and pour the beer for your co-worker, boss or important person you are drinking with. Same kind of beer as when we order Nama but we order beer differently depending on who you are drinking with. OSHAKU is a method to show respect pouring a perfect glass for your boss or another person important to you is a strong custom in Japan. Drinking beer for us has deep meaning and we love beer so much! 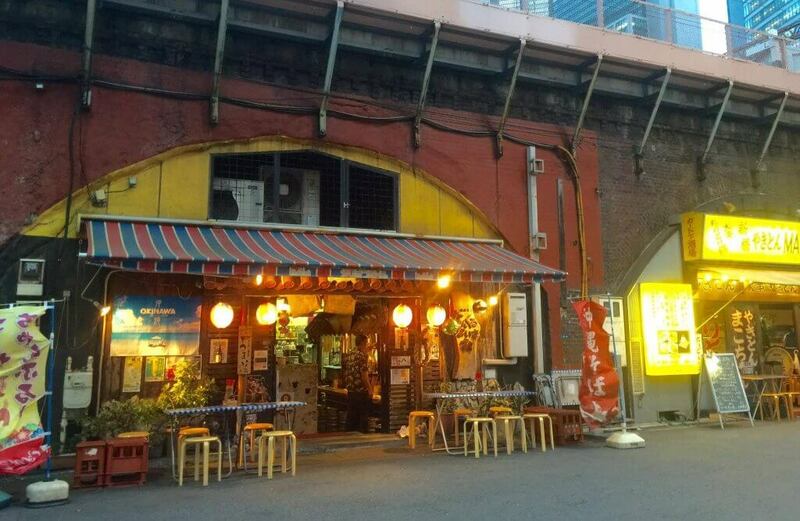 Did you know that there are still alcoholic vending machines open 24 hours a day near a station in a business district called Yuurakucho? Every day and every night people stand or sit in the street in their work suits enjoying a beer for just a few coins. 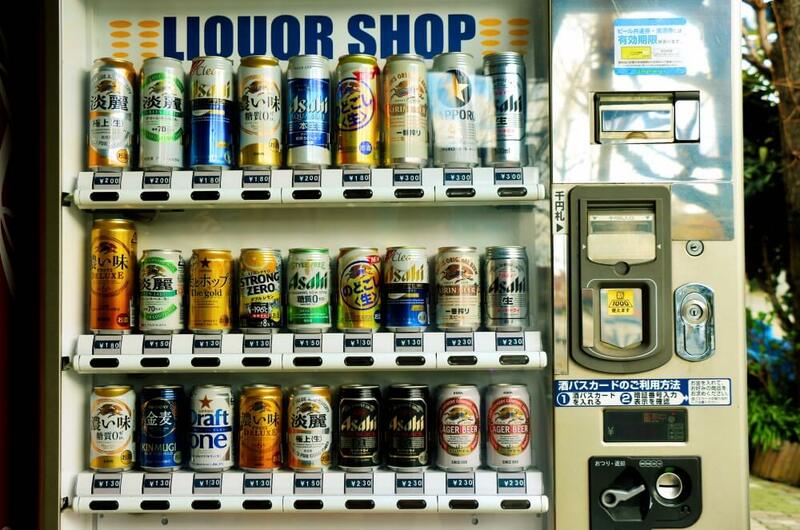 They are actually still lots of places to buy vending machine alcohol. There are 5 major Beer companies in Japan, which all have different features and approaches to brewing, flavor profiles and sales. Asahi Beer was founded in 1987 in the city of Osaka. They made a huge impression as the first “Dry” beer in Japan. With their sophisticated and sharp taste. 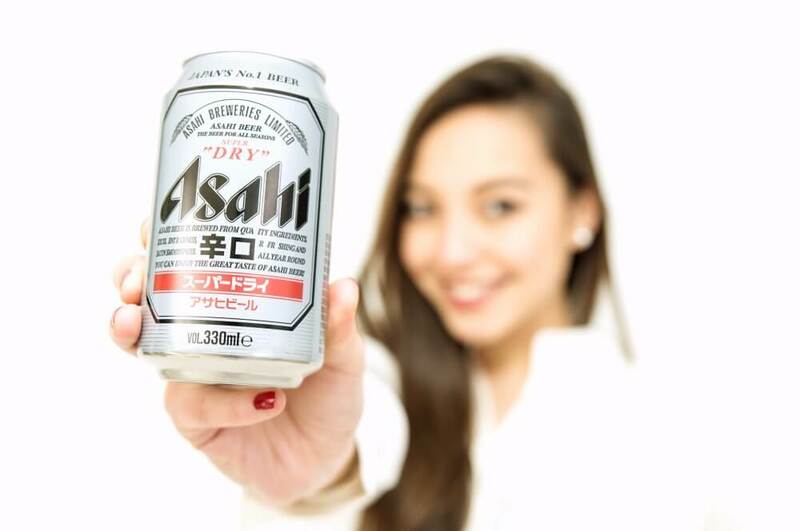 Asahi has dominated the No.1 spot for 7 years in a row. A must try for dry fans. Kirin Beer is known in Japan as the most traditional beer. The brand was founded in 1870 in the Meiji Era. Kirin has been recognized as a pioneer in the beer industry. The most famous is Kirin Lager Beer, using high quality hops to make a rich taste and sharpness with perfect balance. A lot of the older generation love the strong bitterness and are loyal fans of this historic brewery. Suntory the number 3 beer, was created in 1929, by founder Shinjiro Tori who established the first “premium beer.” They use only high quality hops, diamond malts and only natural spring water. Sapporo Beer was founded in 1876, in Sapporo city on the island of Hokkaido in the north of Japan. The selection of quality ingredients is the passion of this brewery. In fact Sapporo works directly with the barley and hops farmers to support them in order to get exactly the style and quality they are looking for. Their top selling product is Sapporo Black Label which has a sharp bitterness popular with many beer fans. Orion, the number 5 beer is from Japan’s tropical islands of Okinawa. The taste is creamy and light that completely matches a sunny day just like spending the day on the beach in Okinawa. Japan has a unique beer culture and brands which might not be as well known or popular as sake (nihonshu or rice wine) but for me, when you start understanding the culture of beer probably you can learn more about what’s unique about Japan. How we order and drink with friends and co-workers, how we relax, and how we enjoy great beer with traditional and casual food. 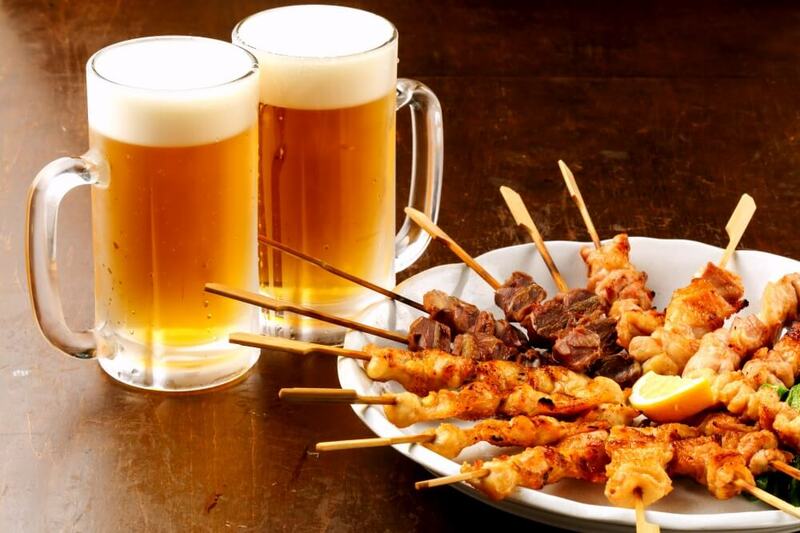 Come with us on an evening food tour of Shinbashi to try Japanese beer and learn more about how office workers in Tokyo relax after work with friend and co-workers. You will see a side of Japan only locals know.